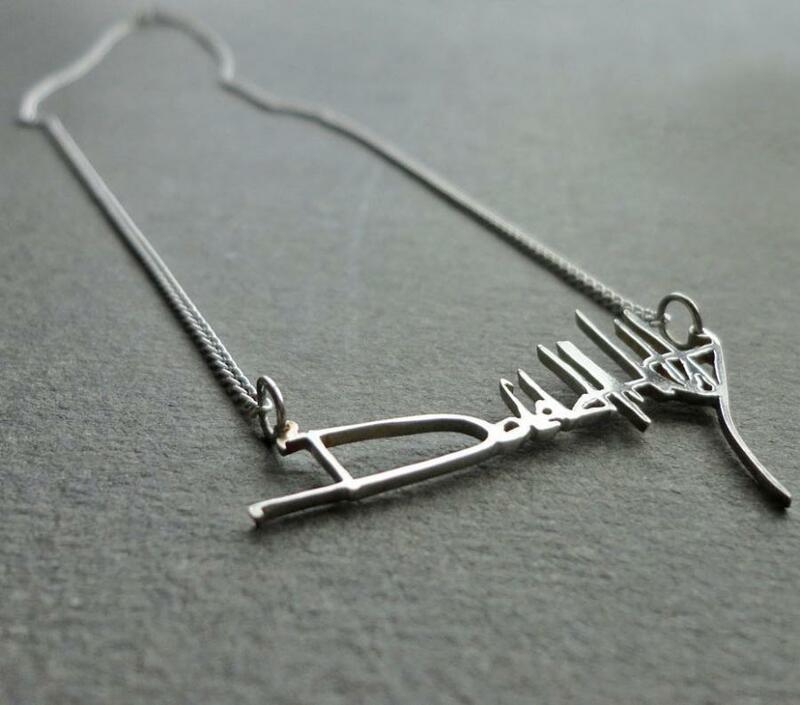 If you grew up in the nineties you know that you were only cool, hip, and with-it, if you had a giant necklace that had a clock, Mercedes hood ornament, or your initials hanging from it. But better yet, was a necklace with your signature on it. 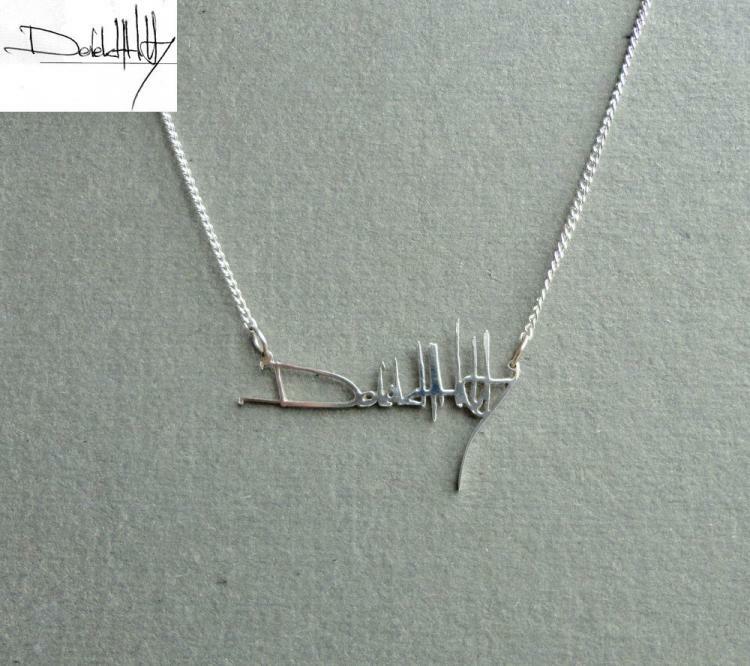 Etsy store Made By Daisy is offering to custom make your signature into a necklace. 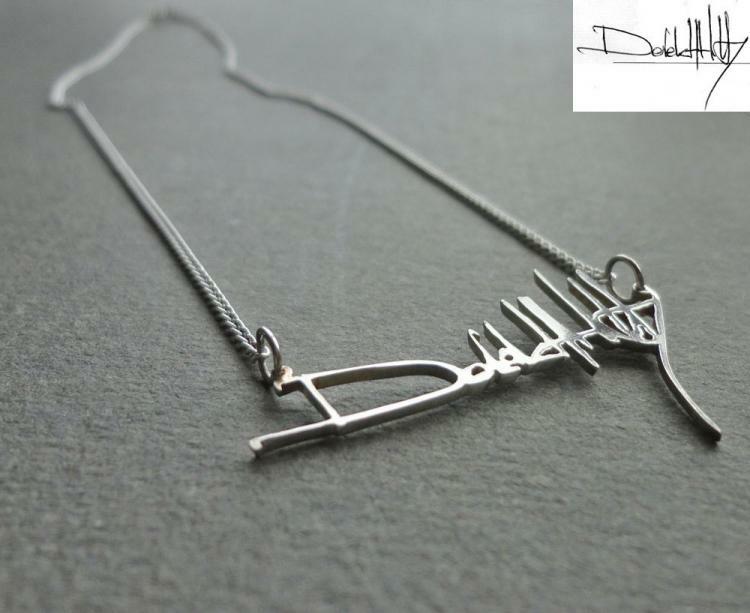 Simply send the store an image of your signature (either a scanned image, or a photograph), and they will hand make your signature into a necklace made entirely from sterling silver along with a chain and a clasp. 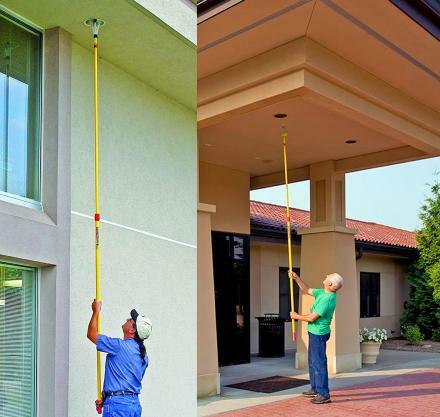 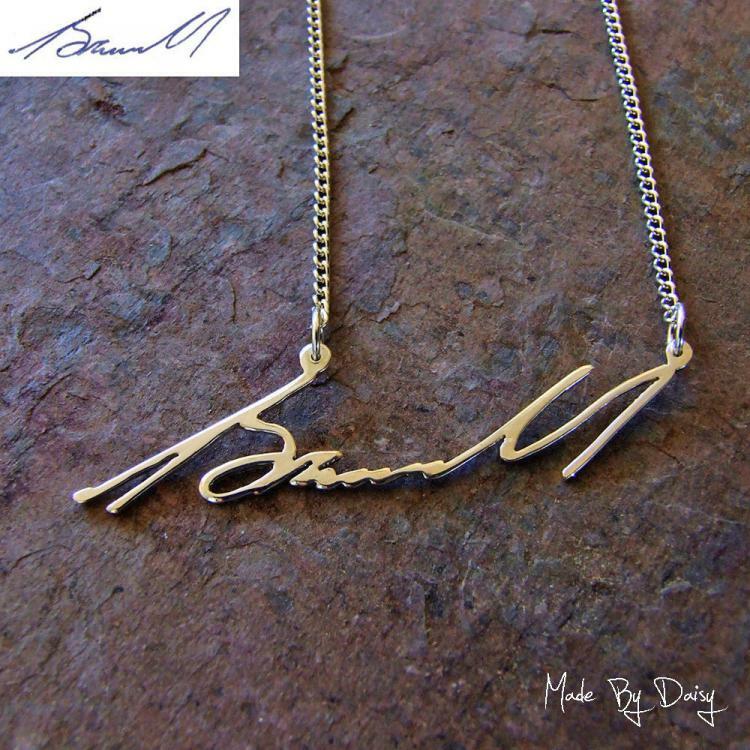 If need be, you can always detach it from the chain the necklace comes with, and attach it to a 1/2 inch thick gold necklace that looks similar to a rope that was spray painted gold. 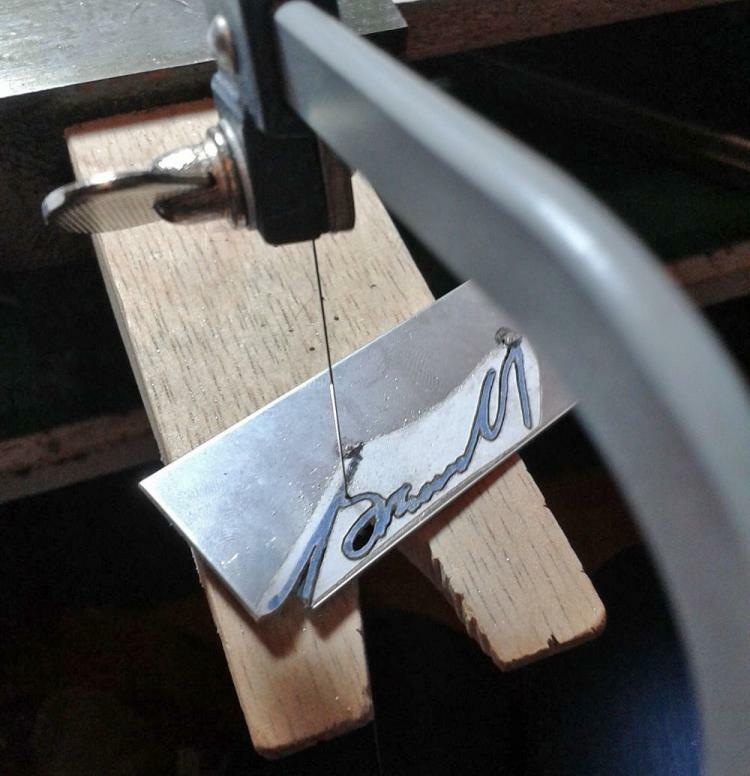 The custom signature made into a necklace is made from 1.2 mm thick sterling silver, the signature will vary in size depending on the length of your signature, you can select necklace sizes ranging from 16 inches - 18 inches, as well as the option of a finish between matte and polished. 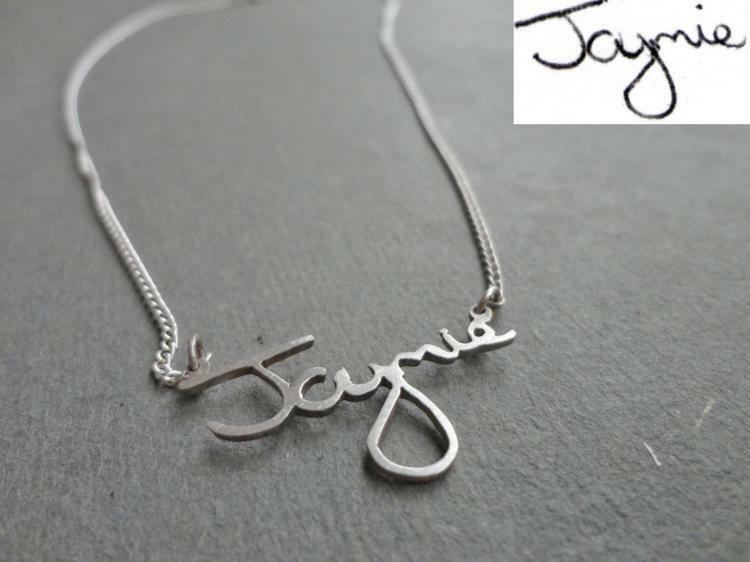 The base price for the signature necklace is $154, which is for a signature that uses up to 6 letters. 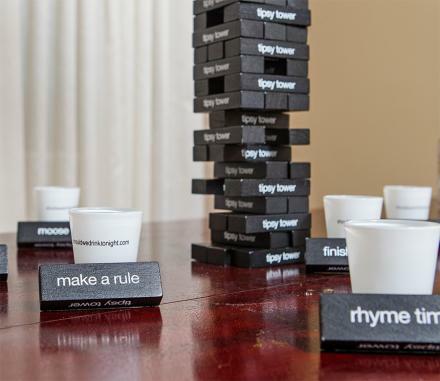 Each extra letter after that will cost you a bit more, all the way up to 27-30 letters, which will run you just under $400. Although if your name is more than 27 letters you might want to just abbreviate.